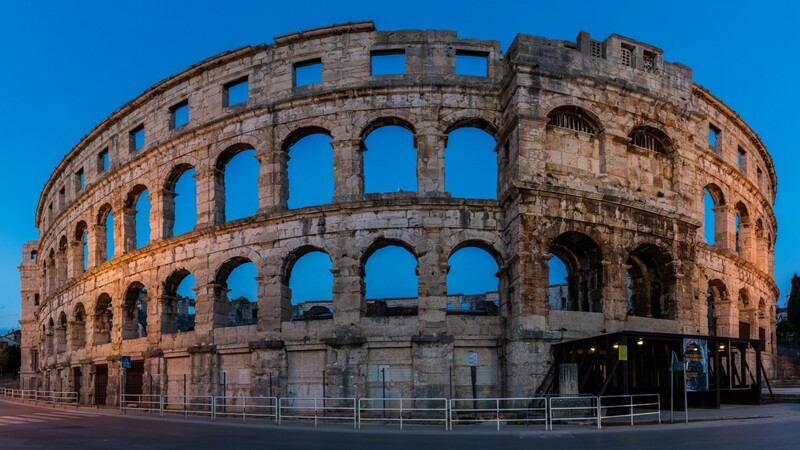 The wealth of Roman architecture makes Pula (ancient Polensium) a standout among Croatia’s larger cities. The star of the show is the remarkably well-preserved Roman amphitheatre, smack in the heart of the city, which dominates the streetscape and doubles as a venue for summer concerts and festivals. Historical attractions aside, Pula is a busy commercial city on the sea that has managed to retain a friendly small-town appeal. Just a short bus ride away, a series of beaches awaits at the resorts that occupy the Verudela Peninsula to the south. The coast is dotted with fragrant pine groves, seaside cafes and a clutch of good restaurants.